We hope you like our new look newsletter - having carried out some research into how people view our newsletters we have found that the old format was behaving badly on some phones and devices, so we hope this style will be easier for all to read (please do give feedback). 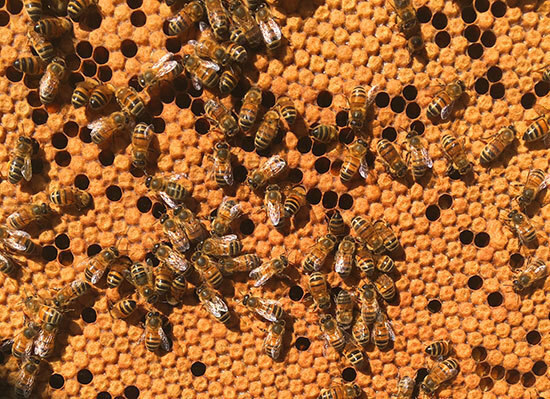 We have also decided to merge our general and beekeeping newsletters. With the body of information now accessible on links to our blog, it is easier for you to choose which snippets are of interest to you, and with more and more interest in bees, we realise it is not just our beekeeping customers who like to read Amanda’s Beekeeping articles. Our regular contributors will still continue to write for us but on a 'featured' basis throughout the year. Our own bees gave us a scare this month; having carried out a thorough inspection we were quite confident that both hives were in good health to go through the winter. Who's afraid of the big bad wolf? Thankfully in our country we have nothing to fear. However, our small feathered friends do. Their 'wolf' is known to us as 'Mr Fox'. This month we are concerned with protecting our feathered flock. Learn how to set up protective measures to keep all of your pets safe - this article can also apply to rabbits, guinea pigs, and any other small garden pets. 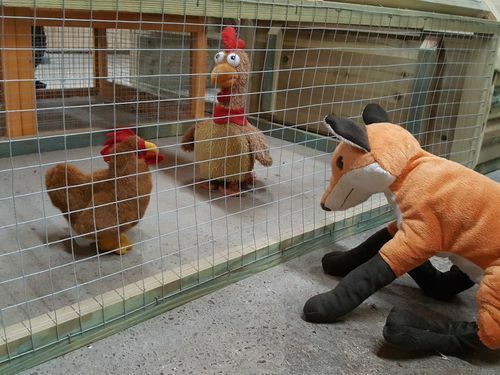 Pass on the knowledge to friends and neighbours who could use it to further protect their animals from Mr Fox. Many people like to feed their chickens 'treats' to add variety to the diet. Whilst there is nothing wrong with feeding a small amount of treats, make sure your chickens eat their complete feed in the morning before giving any treats. 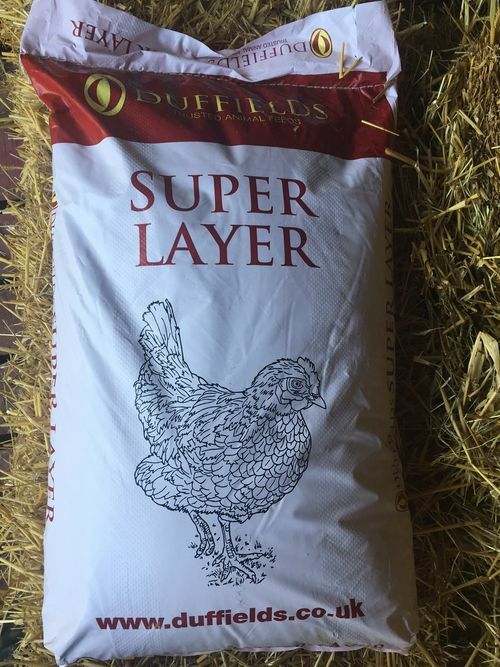 This is important as the chicken’s crop limits food intake and as chickens are likely to prefer treats to their complete feed, they may fill up on treats and miss out on getting the right balance of nutrients. Read more about this product on the blog. October 16th and Storm Ophelia brought a red sun and dark, orange skies caused by Saharan dust and smoke from forest fires in Southern Europe. I was out near my bees and saw them rush home with traffic jams at the entrances; before long they were all quiet and indoors. They were a bit subdued next morning too as the light levels were still low. I write this with Storm Brian battering the garden, bright sun alternates with squalls of rain. 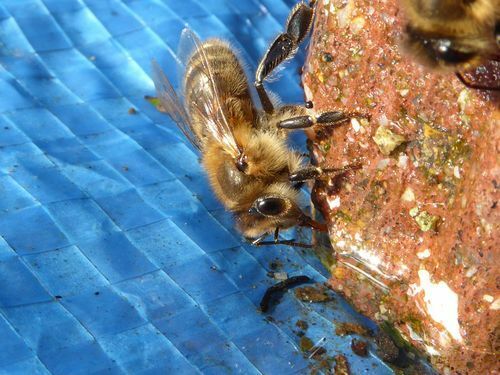 In the sun there are lots of bees out collecting water (see photo) and several Red Admirals sunning themselves in spite of the wind. 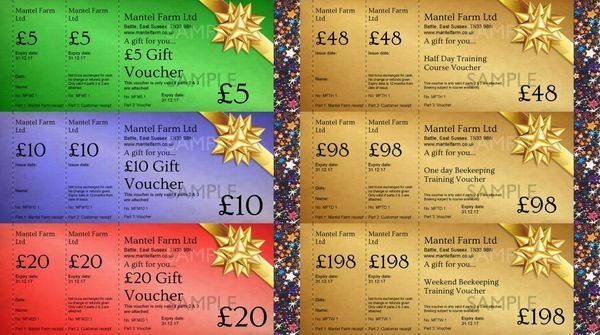 Come and take a look at our discounts in the farm shop. From sustainably sourced woodland in Britain. For immediate burning on all wood burning appliances. 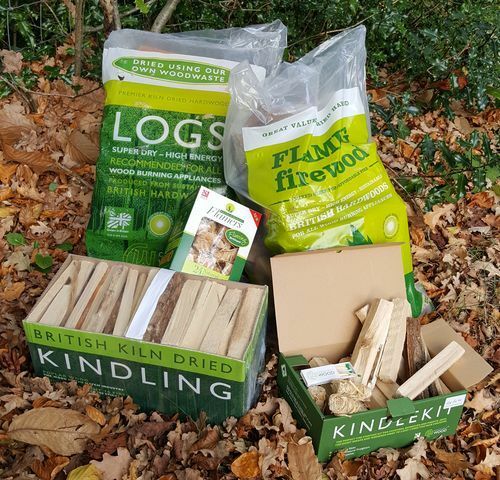 Kiln dried logs approved under the Woodsure 'Ready To Burn' accreditation scheme. Firewood sold under this scheme has a moisture content less than 20%. This time of the year allows me to enjoy my home and to take stock of the past year and contemplate the next. I use this time to plan ahead. 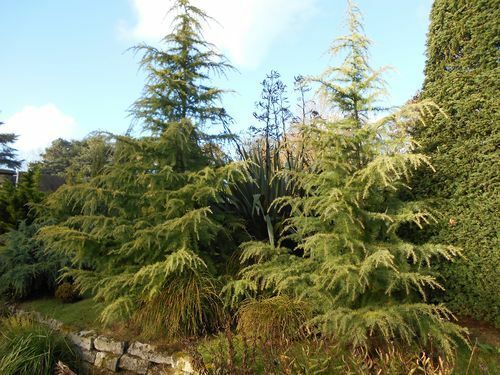 We are in a planting season, so I'm ordering bare rooted trees & shrubs for planting in between now and April. We'll have planted up some new conifer beds by the time this is published. Yes, the nights are longer yet I become upbeat revelling in the possibilities of what we can achieve next year behind the veil of late autumn and winter nights! Have you run out of feed? Can't get to your local shop? Now you can order mash online for courier delivery direct to your door, anywhere in the UK (excluding highlands and islands). Choose the "direct to my door" delivery option when adding mash to your shopping basket and use the mash delivery option at checkout. 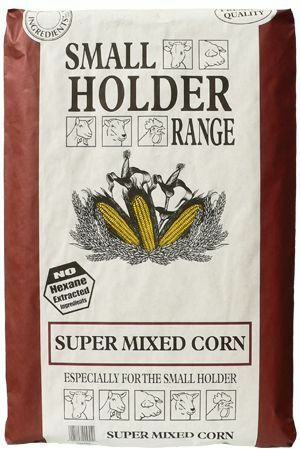 More 20kg sacks will be available via courier in the future. We are pleased to be able to release our 2018 beekeeping course dates, all of which are now available to book via the website. 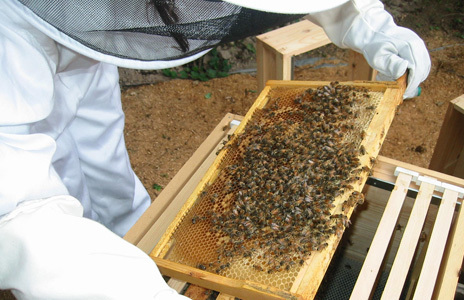 We are continuing our highly successful "beginning your beekeeping" weekend courses, and have added the following new courses... An advanced day, a beginners refresher day, and half days in basic exam prep, swarm control and queen rearing. Some of you may remember Ben who has worked at Mantel Farm both in the shop and around the grounds over the years. He has set himself up rearing traditional Norfolk Blacks. 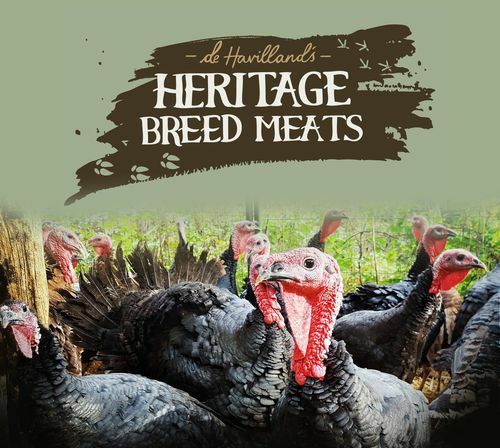 Reared in the thickets of Telham, East Sussex, these heritage breed Turkeys are now available to order for Christmas. Truly traditional, slow grown and memorably flavoursome! Contact Ben on 07513057662 or d.hheritagebreedmeats@gmail.com.